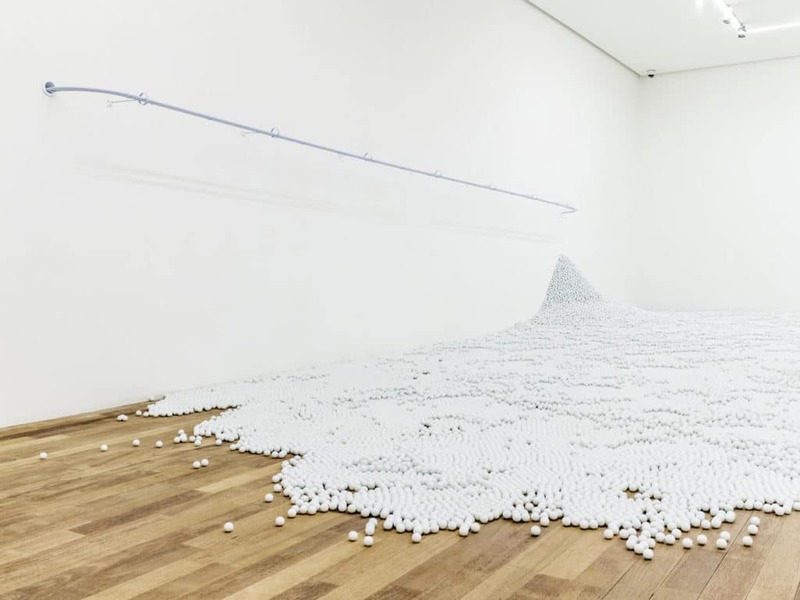 A follow up to their 2014 interactive marble run installation and their viral ball pit installation The Beach, New York-based art and architecture team Snarkitecture has partnered with fashion brand COS to create 400 meters (1,312 feet) of metal track, a marble run called Loop. 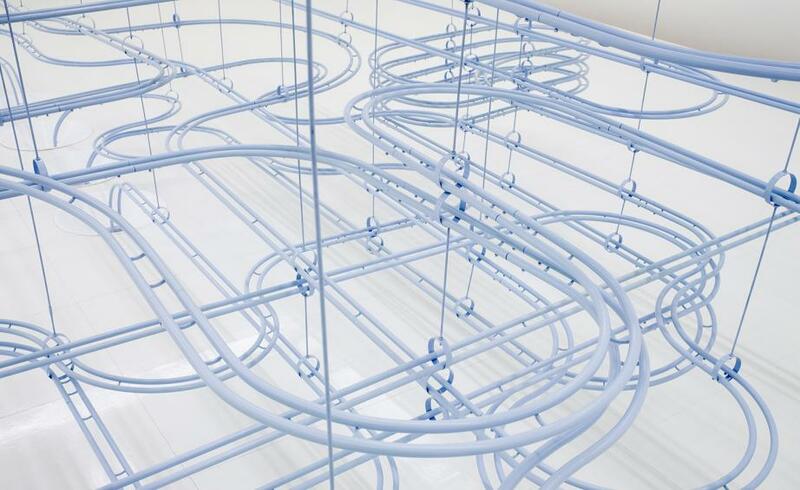 Every ten seconds, one of 100,000 white glass marbles rolls through an elevated light blue aluminum track in a white exhibition room. When the marble drops into a hole in the floor, it travels into a second room where it scatters into a pile. The installation is running From November 8th through 19th, 2017 at the Gana Art Center in Seoul, South Korea. Watch this COS-supported project next: New Spring, mist-filled ‘blossoms’ grow from a ‘tree’. Plus, this classic: Metropolis II at LACMA.